The EPIC ADVISERS model from Stephen Banhegyi is an African leadership framework based on attribution theory and self perception. Most of the models that are used to teach principles of leadership were developed by Western consultants and professors. According to Banhegyi, effective leadership requires the understanding and exercise of certain personality and leadership traits by the person that is playing the role of leader. All leaders surveyed in a major 2002 survey suggested that they used these traits to some extent in their experience of leadership. The model suggests that the making of myth, meaning and reality through storytelling is one of the key skills of leadership. As is also a consultative, coaching approach. A clear and remarkable example of such leadership is that of King Shaka of the Zulu nation in the early 19th century. Shaka appears to have been on of the first to realize that if he invited leaders of his various regiments to discuss battle plans, they would all have a better chance of success. A 'consultative' approach to war. 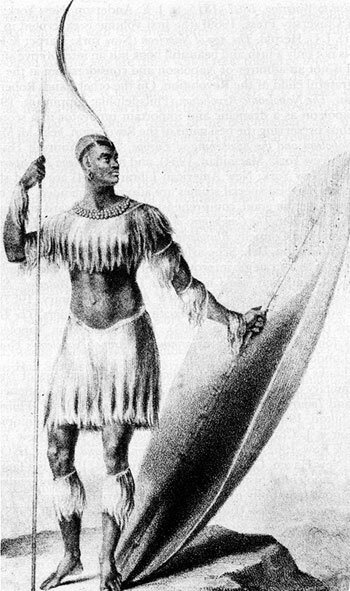 The behavior and style of Shaka was so different and unique that his people called him unodumehlezi kaMenzi (meaning ‘the one who gazes into the heavens’). Shaka would make time to sit, to meditate, to think and to contemplate. At the same time, he was clearly a man of the people in that he would not only plan an offensive, but he would join with, train and fight alongside his followers. The leadership style of Shaka was a quantum leap from what had had been experienced in Africa up until that time. Before Shaka, wars had been fought in other ways. These innovations were the reason why the Zulu nation became so powerful. EPIC. An extended narrative poem in elevated or dignified language, celebrating the feats of a legendary or traditional hero. It can also refer to a literary or dramatic composition that resembles an extended narrative heroic poem. ADVISERS. People who advise, coach, mentor, counsel or educate others in academic, professional or personal matters. A state of mind that can arise spontaneously as well as through conscious effort. Emotions are often accompanied by changes in the body. Emotions also refer to that part of consciousness that involves feelings; excitement of the feelings (whether pleasing or painful); disturbance or agitation of mind caused by a specific cause and manifested by some effect on the body. Leaders are able to stir up and project the emotional states of the people around them. This is done by speaking, body language and often by the leader’s presence only. The ability or capacity to perform or act effectively. The ability to exercise great influence or control over others. A specific capacity, faculty, or aptitude. Power also includes the ability to cause things to happen or stop them from happening. Inspiration means stimulation of the mind and emotions to a high level of feeling or activity. It can also mean divine guidance. Or influence exerted directly on the mind and soul. Leaders are able to expertly apply various techniques to inspire their people. One of the most important of these techniques appears to simply be able to pay positive, focused attention to someone. Derived from the Greek word ‘kharisma’ meaning divine favor. Charisma refers to a rare personal quality (personal magnetism or charm) attributed to leaders who arouse fervent popular devotion and enthusiasm. The result of charismatic powers is to manipulate the behavior, values, beliefs and attitude of people. The power to enforce laws, exact obedience, to command, to determine, or to judge. People with authority include your parents, your peers, the courts, the police, the church, popular culture etcetera. A feeling of drama, ritual and occasion is vitally important to create milestones in time. The drama and ritual also allows everyone to experience the same emotions at the same time. Leaders have an instinct for knowing when drama ought to be used to make a point, create an impression or mark a point in history. Drama could be used to enliven otherwise mundane events. Events such as when a new customer is acquired, a project is completed or a new employee is hired. The ability to see what does not yet exist. And to be able to describe it in such a way, that others become sufficiently excited and interested and the vision becomes a reality. An action that a person intends to follow. A desired outcome that someone sees and he wishes to achieve it at the end of a process. The ability to create a story or myth that is interesting and persuasive enough to convince others to start using it as a way of describing their reality. The journey-making-component of story telling describes the movement from where we are at the moment to where we are going. An attitude of confidence expressed by the leader that whatever must be done can be done and will be done by the role-players. The leader here expresses faith in her followers. They respond in return in a way that justifies this faith. Emulating the characteristics, behavior and language of someone else. In order to capture a mood state and a way of being. Role modeling is a crucial and often-unconscious mechanism used by people to confirm their allegiance to a group or cause. A strong and unambiguous self-perception appears to be a common trait among leaders. Leaders who have an unwavering impression of themselves and of their worth are likely to be seen in the same light by those who work with them. Analysis by Banhegyi of interviews by 600 students from CIDA University in 2002 with hundreds of leaders of companies in (South-) Africa. It is necessary to understand some of the principles and history of African culture, religion and spirituality before trying to understand African leadership. This is because there are certain subtle ways of organizing people, setting direction, motivating and creating reality that can be better understood by looking at people’s spiritual and religious heritage. Additionally, in studying organizations and communities throughout Africa, it becomes apparent that leaders themselves are much closer in attitude and behavior to priests and shamans than the commonly accepted stereotype of what a western leader is. Development and training of leadership. Developing personal narrative and storytelling skills. Read about a particular technique. ‘Feel’ whether the technique is right for you and what it is you are at the moment. If the technique ‘feels’ right, use it with all the passion you can muster. If you are happy with the result, allow the technique to become part of you. Focus on values, self perception and self-development. Based on African history and culture. It is uncertain to what extent the model is applicable outside of Africa. Personality traits are not cast in stone. They are malleable. The entire notion of leadership is being overhauled and rethought. People have become increasingly interested in African leadership as it used to be. And they are looking for ways to revive it.